The development of new technologies in mobile computing miniaturization and its application in the diagnosis and medical therapy will mark the path for the XXI century Medicine. We expect and hope that this scientific revolution will help to eliminate disparities in the access to health for people who suffer anywhere in the world. * To freely disseminate videos and pictures of current cases, obtained with handheld ultrasound device, vscan type, made at patients’ bedside. It will show diseases, common symptoms, advice and findings that might be useful for medical students, residents, medical personnel or those interested in any area of health care (Hospital, Primary Care, Emergency, NGOs ..). * To create a forum for communication, dialogue and learning about handheld ultrasound and its usefulness in clinical practice. * To help out patients as main objective, and therefore to respect their right to privacy, confidentiality and data protection. G.López Martínez. Internal Medicine Physician. 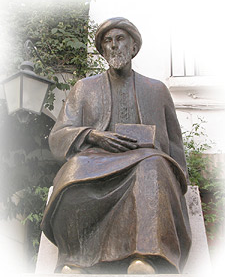 G.López Lloret. Internal Medicine Resident Physician. THE INTERNAL MEDICINE DEPARTMENT OF TORRECARDENAS (ALMERIA) IS ONE OF THE FIRST HOSPITALS IN THE WORLD IN CLINICAL USE OF POCKET ULTRASOUND. Since last June 10, 2010, doctors of the internal medicine department of Almeria have incorporated ultrasound vscan (GE) into their daily practice, and the bedside -exactly at the start of its marketing in early June 2010. Becoming (after the initial studies -Madrid, Barcelona and Naples) into one of the first centers to incorporate this worldwide technique. 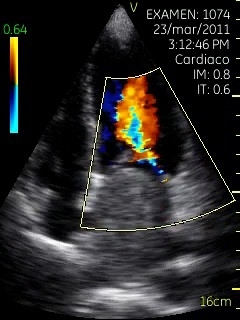 It has organized the first course of Ultrasounds in Internal Medicine (August 2010). It has promoted the teaching for Residents and Medical Students over General's Ultrasounds and Echocardiography. We are currently and simultaneously working in the analysis of collected data for the next assessment and scientific publication. Cabo de Gata. Genoese beach. Almería. SPAIN. To the Medical Department of Radiology and Cardiology for their patience and cooperation. To all peers in the Service Internal Medical and Surgical Specialties for their help. To The Pharmacy Department for their cooperation and interest in optimizing the transmission gel.